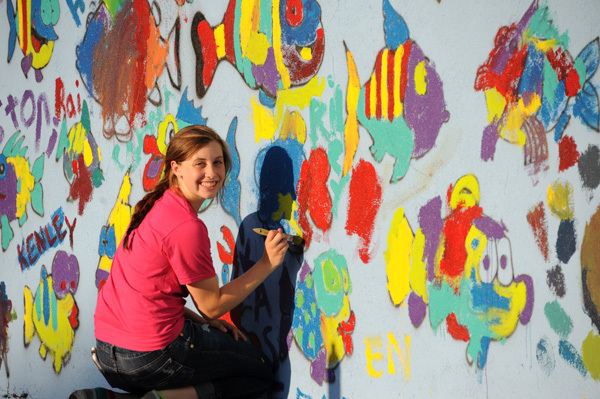 South Dakota Magazine’s Katie Hunhoff spearheaded a paint-a-fish extravaganza in downtown Yankton Wednesday night, bringing the city’s RiverWalk sculpture organization and Yankton Area Arts Association to team up on a project for kids. Photos by Bernie Hunhoff. 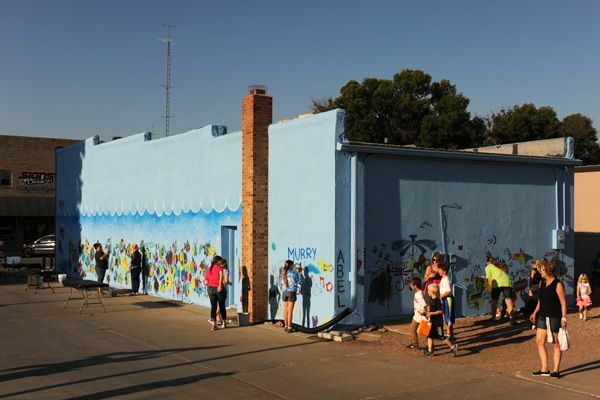 Larry Ness of First Dakota National Bank painted an old downtown building “lake blue” and then Menno artist Mickey Harris painted the outlines of several hundred fish on the walls. 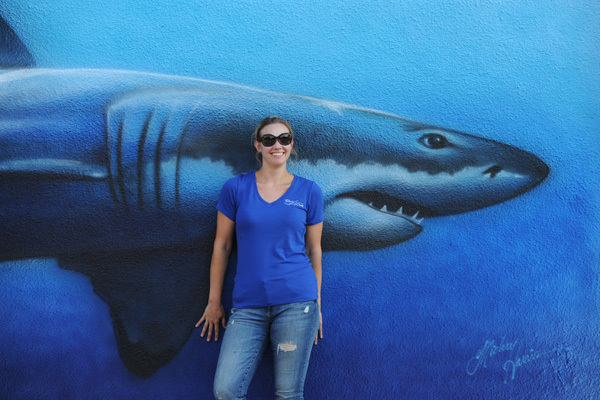 The artist also painted the foreseen shark on the front of the building, and a warning heeded by Steven Hunhoff. 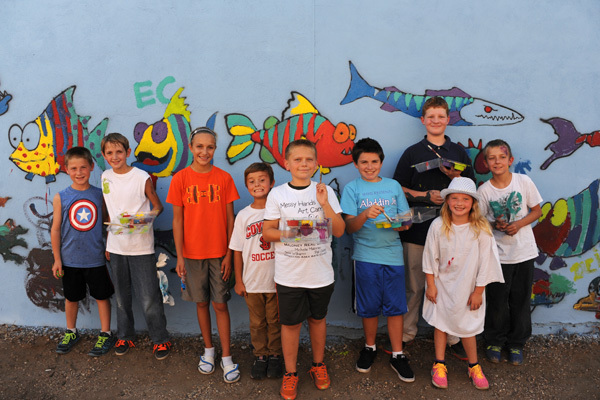 Several hundred children and adults came downtown to paint the fish and tour the city’s outdoor sculptures. 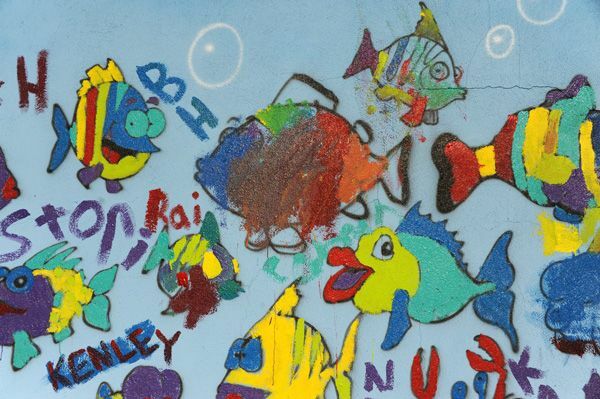 Every child had a chance to paint a fish or even do some freelancing. 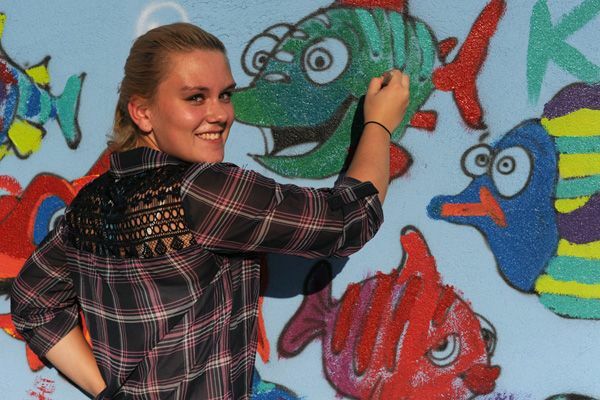 High schoolers like Merlye Mason provided some real talent to the fun wall. 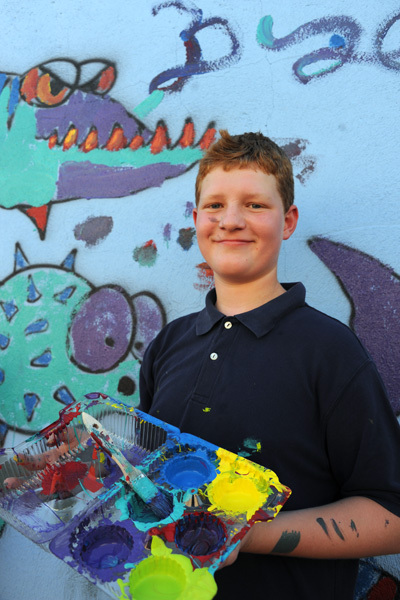 Keith Fejfar, a fifth grader, got a real “pat on the back” from a painting friend for his efforts. 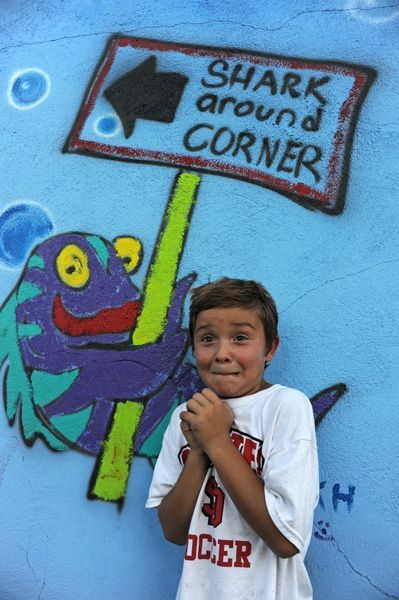 Dylan Neubauer Keyes, a seventh grader at Sacred Heart School, painted an aqua perch. Tori Henning, a sophomore at Yankton, showed real talent. 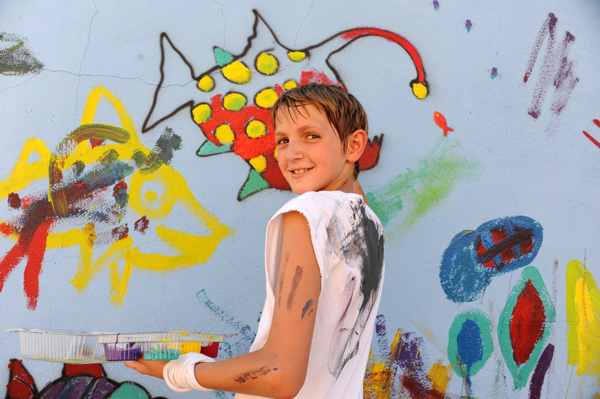 The fish art will be on display for several weeks.